Type 2 diabetes is one of the nation’s fastest growing chronic diseases, placing a heavy burden on the health care system and the overall health of the nation. 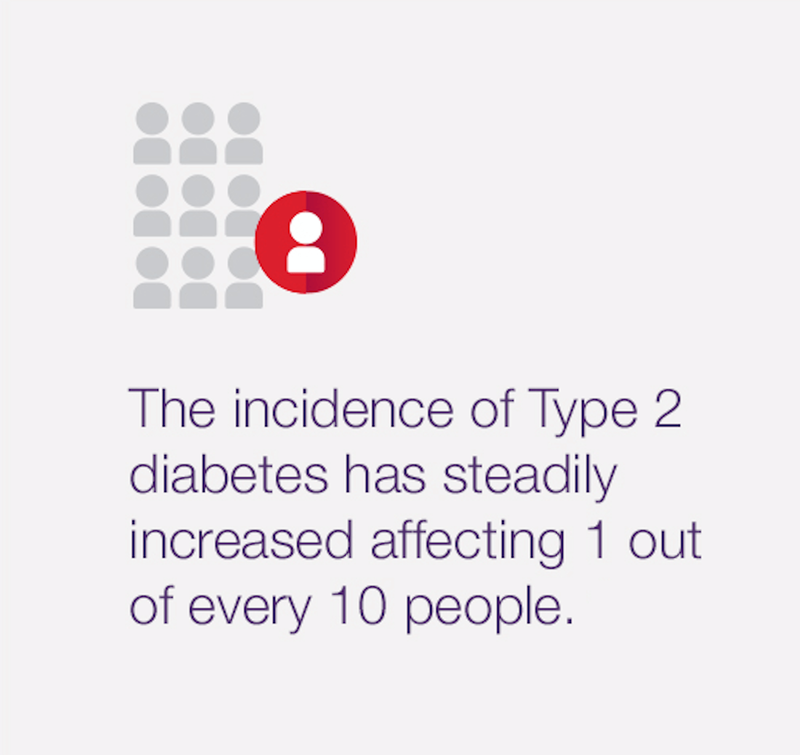 Improve patient outcomes by preventing or delaying progression to type 2 diabetes. Reduce medical expenditures associated with treating type 2 diabetes and its complications. Improve clinical practice burden associated with treating diabetes. In this section, you’ll learn more about the impact of diabetes and how you can meet your health care organization’s prevention goals with a National DPP lifestyle change program. Prediabetes occurs when blood glucose levels are higher than normal but have not reached the levels consistent with a diagnosis of diabetes. If left untreated, people with prediabetes may develop type 2 diabetes and are at increased risk of cardiovascular disease. In the average primary care practice, up to one‑third of patients age 18 and above—and up to half age 65 and above—could have prediabetes and be at risk for type 2 diabetes. Intensive lifestyle intervention can prevent or delay progression to type 2 diabetes in patients with prediabetes. Screening patients and referring those with the condition to treatment involves the entire clinical team. The AMA has developed a guided process and resources that health care teams can use, including tools to incorporate referrals into existing workflows to ensure patients have access to in-person or online National DPP lifestyle change programs. What makes the National DPP lifestyle change program effective? The CDC-recognized program is delivered by a trained lifestyle coach who works to empower each participant to adopt the necessary skills needed to sustain lasting lifestyle changes and improve their overall health and well-being. Participants meet in groups with their assigned coach for 16 weekly sessions and 6 to 8 monthly follow-up sessions. These are not exercise classes. During each session, patients learn ways to incorporate healthier eating habits as well as physical activity routines, problem-solving and stress-reduction skills into their daily lives. The goal is a 5 percent weight loss and 150 minutes of weekly physical activity. The original diabetes prevention program compared intensive lifestyle counseling to placebo. Had a reduced incidence of type 2 diabetes by 58 percent. There are CDC-recognized organizations delivering the National DPP lifestyle change program across the nation, with demonstrated results. Participation in a CDC-recognized lifestyle change program has the ability to mitigate the risk of type 2 diabetes, reduce the medical costs associated with the condition and provide a positive ROI. The AMA is committed to providing health care organizations of any size with the tools and support needed to implement a diabetes prevention strategy that includes providing patients with access to a National DPP lifestyle change program. Complete a quick online assessment. Answer a few questions about your health care organization’s current diabetes prevention efforts. Access a customized planning dashboard. Your responses will be used to create a dashboard to help guide you through key considerations needed to plan and implement a diabetes prevention strategy at your healthcare organization. Get free access to best practice solutions currently being used by a variety of health care organizations across the country to systematically identify and manage their patients with prediabetes. We know that implementing a sustainable diabetes prevention strategy takes time. On average, it takes nine months. That’s why we designed the online experience to interact with your health care organization over the course of your strategic planning process—tracking milestones as you complete assigned tasks along the way. Register now to access the AMA’s assessment, and learn how you can plan and implement a diabetes prevention strategy. You’ll receive a free, step-by-step framework for building your strategy, including online support and assistance to help you get started. 1 American Diabetes Association. 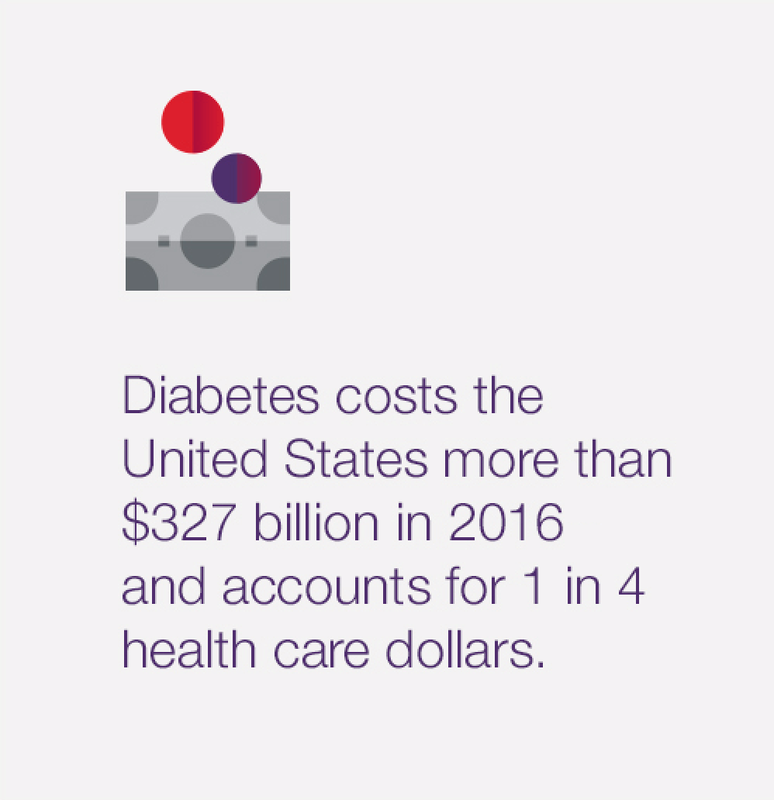 Economic costs of diabetes in the US in 2017. Diabetes Care. 2018. care.diabetesjournals.org/content/early/2018/03/20/dci18-0007 Accessed Nov. 20, 2018. 2 Knowler WC, Barrett-Connor E, Fowler SE, et al. Diabetes Prevention Program Research Group. Reduction in the incidence of type 2 diabetes with lifestyle intervention or metformin. N Engl J Med 2002;346(6):393-403. 3 Li R, Zhang P, Barker LE, et. al. Cost-Effectiveness of Interventions to Prevent and Control Diabetes Mellitus: A Systematic Review. Diabetes Care. 2010;33(8): 1872-1894. ncbi.nlm.nih.gov/pubmed/20668156. Accessed Nov. 20, 2018. 4 Gillespie CD, Hurvitz KA; Centers for Disease Control and Prevention (CDC). Prevalence of hypertension and controlled hypertension - United States, 2007-2010. MMWR Suppl. 2013;62(3):144-8. 5 Centers for Disease Control and Prevention. National Diabetes Statistics Report: Estimates of Diabetes and Its Burden in the United States, 2014. Atlanta, GA: U.S. Department of Health and Human Services, Centers for Disease Control and Prevention, 2014.